Appendix cancer has often spread to the peritoneal surfaces of the abdomen by the time it is discovered. The surgery to remove as much of the cancer in the abdomen as possible, reducing the “bulk” of the cancer is called “debulking” or “cytoreduction” surgery. “Cyto” is a word root meaning cells, so cytoreduction means to surgically “reduce” number of cancer cells. Both terms mean the same thing and are usually used interchangeably. Cytoreduction (debulking) surgery is often long and complicated and is associated with a high rate of post-operative complications. Parts of the large and small bowel along with organs or parts of organs in the abdomen that are cancerous may need to be removed during this surgery. “Complete cytoreduction” or “complete debulking” means that all of the visible tumors are successfully removed during surgery. “Incomplete cytoreduction” or “incomplete debulking” means that all of the tumors could not be removed during the surgery and that visible tumors were left behind. Debulking surgeries can take 12 hours or more and require very large incisions. MOAS is a nickname given to the surgery by a patient who had the procedure done and named it the “Mother Of All Surgeries“, and the acronym stuck in some internet circles. The experience of the surgeon. The particular technique used- i.e. open vs. closed technique for the peritoneal hyperthermic chemotherapy. The use of peritoneal chemotherapy after surgery in addition to hyperthermic chemotherapy used during surgery (some surgeons and facilities follow the initial surgery and hyperthermic chemotherapy with several days of peritoneal chemotherapy beginning the day after surgery). General anesthesia (being “put to sleep” during surgery) can be a cause of some complications. 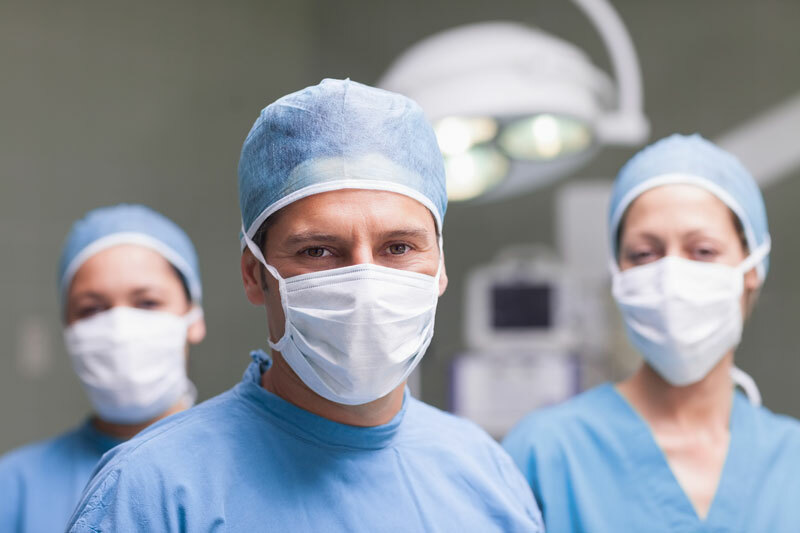 Complications can occur in any surgery related to the use of general anesthesia, but cytoreduction surgery often lasts 10-12 hours, so complications related to general anesthesia may be more common than with other major surgeries. Complication rates are also greatly affected by the health and age of the patient prior to surgery. For example person who is younger and healthier will likely have fewer complications and recover faster than a person who is older with other health conditions. Diabetics will be at higher risk for delayed wound healing and infection. A smoker or person with asthma or respiratory illness will be at greater risk for breathing related complications. It is best to attain the best health you are able to achieve prior to having this surgery. Pleural Effusion– a collection of fluid between the membranes lining the lung and chest wall. While not all complications can be anticipated or prevented, there are things a patient can do to prevent some of the potential complications. Blood clots developing in the deep veins of the legs (DVT-deep vein thrombosis) are most often a result of blood pooling and clotting when a person is inactive for a long period of time. Normal walking and movement of the muscles in the legs keeps blood circulating through the veins and prevents this pooling of blood and the formation of clots. While in bed, ankle exercises such as pointing your toes to your head and then to the foot of the bed repeatedly helps keep the blood moving though the veins of your legs. When you are awake you can do these exercises several times every 30 minutes or hour. Compression stockings and or pneumatic sequential compression devices may also be used to prevent this complication. In some cases a doctor may order injections of a medication that helps prevent clotting. Walking as soon as you are able will greatly help prevent this complication. Preventing the formation of clots in the deep veins of the legs (DVT-deep vein thrombosis) helps prevent a second very serious and sometimes fatal complication, a pulmonary embolus. A pulmonary embolus is a clot (usually a deep vein thrombosis) that dislodges from the veins in the legs and then travels to the lungs. Pneumonia and atelectasis– general anesthesia, prolonged bed rest and decreased movement, along with shallow breathing and underlying lung diseases are all risk factors for atelectasis, or a partial collapse of the lung. These same risk factors also prevent mucous and secretions from being expelled from the lungs and promote the development of pneumonia. Using an incentive spirometer, turning from side-to-side in bed, taking deep breaths and coughing several times an hour, and getting out of bed to walk or sit in a chair will all help keep your lungs expanded and clear. These activities will help prevent respiratory complications. Holding a pillow against your abdominal incision will help you feel more comfortable when you cough. Ileus: as soon as you are able to get out of bed, start walking. Walk as much as you are able to tolerate. Not only will you expand your lungs and prevent deep vein thrombosis and pulmonary emboli, you will also help your bowels to become more active and to start moving sooner. The sooner your bowels and digestive tract start functioning, the sooner you will be able to be rid of the NG tube! Narcotics also can cause or aggravate an ileus, so as soon as you are able, decrease your use of narcotic pain medication. Nausea and vomiting are common complications that can be treated with various medications. Nausea and vomiting are very uncomfortable in any circumstance, but they are even more uncomfortable when you have a very large incision in you abdomen. Talk to the staff until you are able to find a way to control nausea with medication, if you have that side effect. If you do need to vomit, hold a pillow against your abdominal incision for comfort. *Please note, getting out of bed and walking is a great way to prevent numerous complications and to speed up recovery. You can walk slowly and it’s okay if you can’t stand up straight at first, but do your best to walk as soon as you can and as much as you can. Recovery form this surgery can be lengthy. The average hospital stay is at least 2 weeks, but often extends to an entire month.